State-of-the-art storage at Freestate Self Storage means our customers enjoy premium features, 24-hour digital video surveillance, and a clean, well-maintained storage facility. Spotless storage units for rent are available from small, closet-sized rooms to 10’x30’ drive-up storage units. Climate-controlled rooms are available for that extra layer of protection against excessive heat, cold, and humidity. Our attractive property is well lit, fully fenced, and secured by an electronic entry gate, accessible via individual keypad code. Use your personalized access code to access your storage space from 6AM to 9PM, 7 days a week. Customer service is key to your superior experience at Freestate Self Storage. Our friendly management team is here for you to consult on the storage unit size and storage type that is best for your needs, as well as to offer advice for how best to pack the unit to save you space and money. Need a roll of tape or some sturdy boxes? 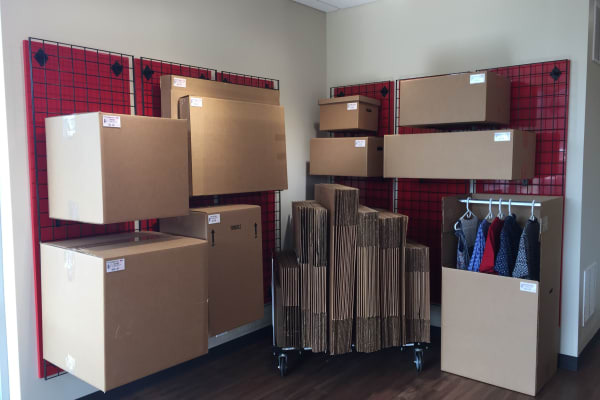 Shop our wide variety of quality packing materials, available for purchase in our leasing office. We make getting and staying organized simple with month-to-month leasing you can adjust as your storage needs change. To save even more on already competitive pricing, check out our specials, and inquire about our active duty military discount. We make storage work for you. Visit our fully fenced and well-lit property to see all the advantages of self storage near Columbia, MD.